Dr Lin Luo (PhD) is an ARC DECRA fellow. He graduated with a PhD supervised by Prof Phil Robinson at Children's Medical Research Institute, Sydney University in late 2012. He has been appointed as a senior postdoctoral researcher in the laboratory of Prof Jenny Stow, IMB, The University of Queensland. His training has included acquiring advanced skills in a wide array of techniques, including structural biology, proteomics, and cell biology, and his research output is building a reputation in cell biology, immunology and inflammation. In past five years at IMB, Dr Luo’s research has focused on highly significant molecules and cellular pathways, discovered by him, that control inflammation in macrophages. To make this work possible, he developed a novel method for affinity pull-downs and mass spectrometry, which was published as a first author and the corresponding author paper in Proteomics. This method produces enhanced sensitivity, a reduced level of background, and improved discrimination of genuine binders. This method is an important contribution to the field making possible seminal findings emerging from his research (2 Nature Communications papers last 2 years identifying 2 new protein complexes) and it is sustaining a number of high profile collaborations with other groups in diverse fields. This work yielded a joint first-author publication in Nature Communications in 2014, a Queensland Protein Travel Award, and an invitation to speak at Combio2014. He was also awarded a FASEB meeting international travel award in 2016 and to present his work at FASEB GTPase in in Health and Disease meeting, Florida. The impact of these findings is evidenced by the fact that his work is a major focus of a contemporary review (Pubmed ID 26403194) in Nature Reviews Immunology and that a recent Nature paper has now replicated his findings and shown them to be directly translatable as a new approach to treating cancer and inflammation. A second protein complexes dietnfieid by Dr Luo was the TRLR4-SCIMP-SRC kinase complex, work that also resulted a joint first author paper in Nature Communications earlier this year. His paper was endorsed two stars out of three (highly recommended) by F1000prime which highlights important articles in biology and medical research publications. He was selected to speak at 2015 East Coast Protein Meeting and a prestigious invitation to present a minisymposium talk at the ASCB conference in San Diego. 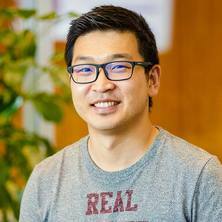 Professional standing and international reputation: In the past 5 years, Dr Luo has received invitations to present oral presentations at domestic conferences (Combio 2014, and 2015 East Coast Protein Meeting), and international meetings (2015 ASCB selected mini-symposium speaker, and 2016 FASEB GTPase in Health and Disease Conference). He has also received nationally competitive scholarships (Massey University Studentship, Palmerston North Medical Research Foundation Scholarship, and New Zealand Health Research Council Scholarship, Australian postgraduate award, CMRI PhD top-up scholarship), prizes (Pro Vice-Chancellor’s Merit, and 2014 Queensland Protein Group Award) and prestigious domestic and interactional travel awards (2010 Lorne Protein Structure and Function Conference Travel Scholarship, Australia-Germany Joint Research Co-operation Scheme Travel Scholarship, 2015 ASCB meeting Interactional Travel Award and 2016 FASEB meeting Interactional Travel award) throughout his career. A macrophage transmembrane adaptor: scaffolding and regulation in inflammation. Manipulating selected inflammatory responses in macrophages. Luo, L., Bokil, N., Lansdaal, N., Wall, A., Marceline, F., Guo, Z., Alexandrov, K., Ross, I, Hibbs, M., Stow, J. and Sweet, M. (2016). A new Toll-like receptor adaptor protein that provides specificity to inflammatory cytokine production from macrophages. In: International Congress of Immunology (ICI), Melbourne Australia, (86-87). 21-26 August 2016.